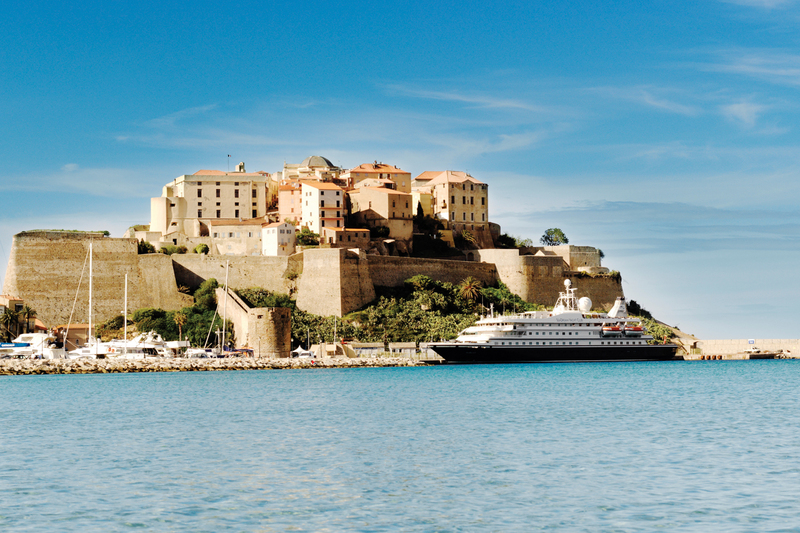 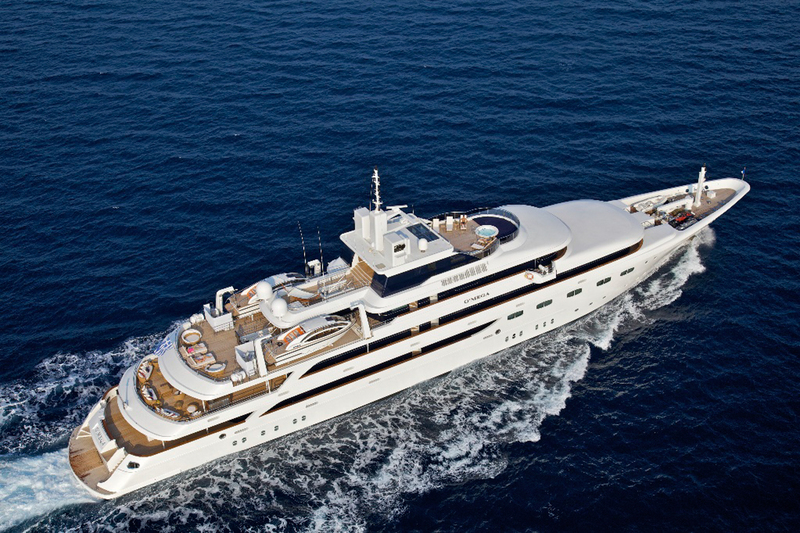 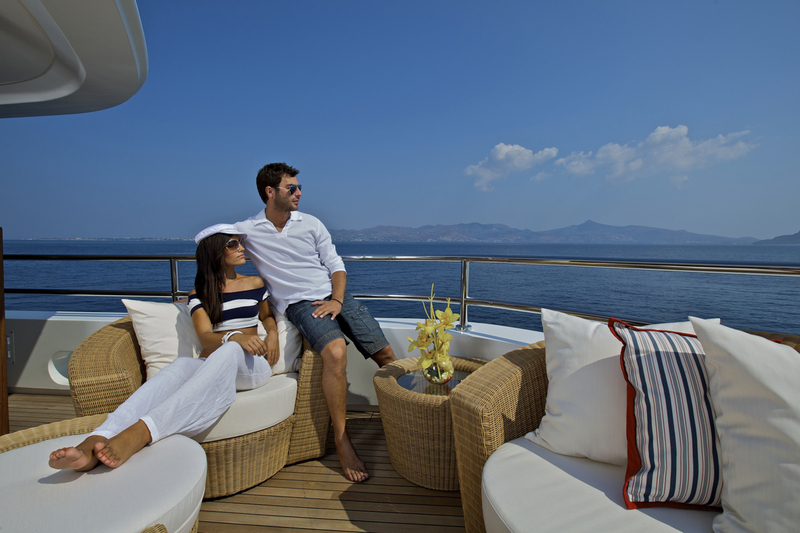 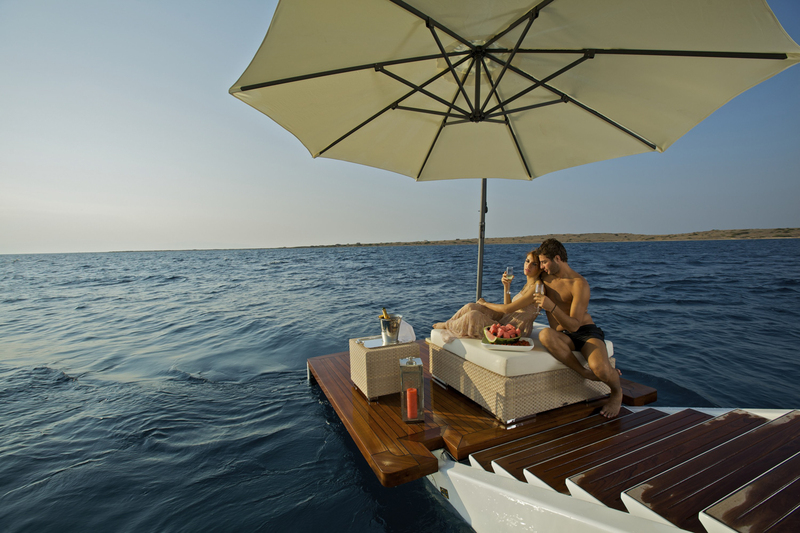 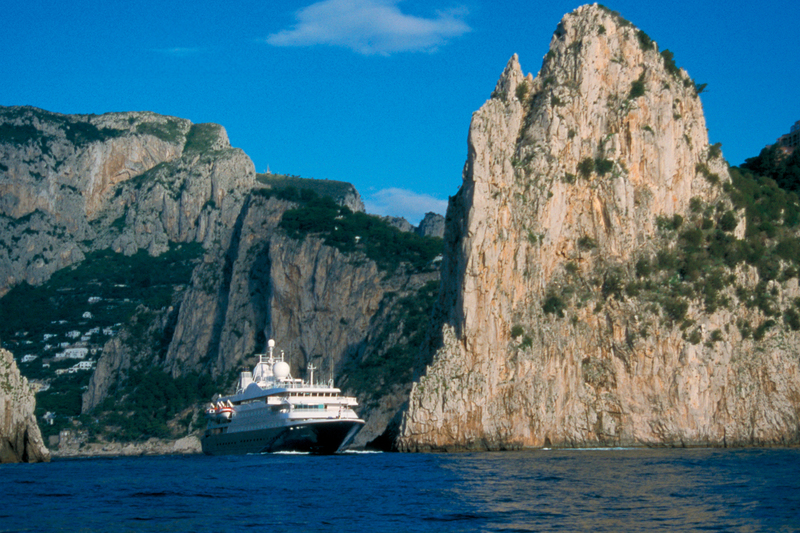 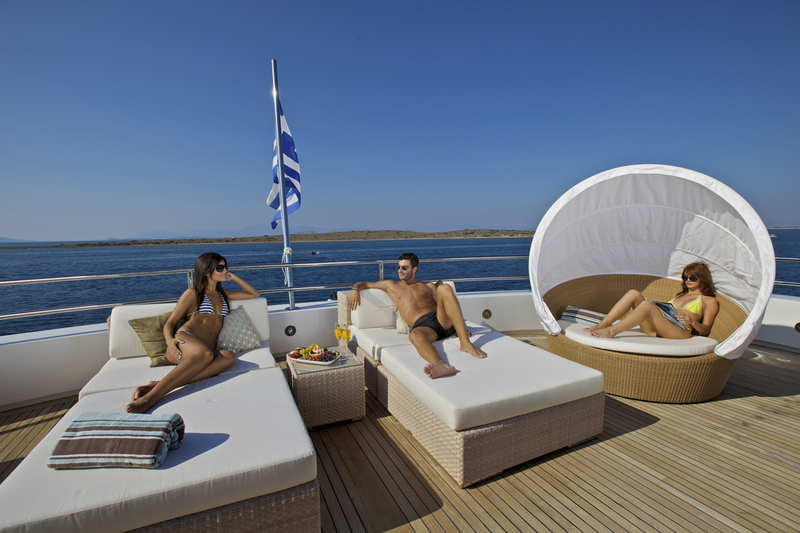 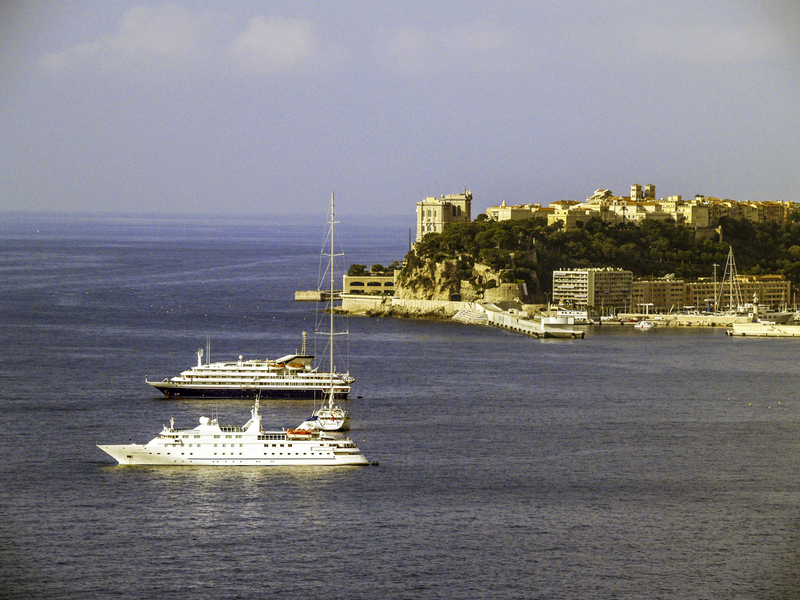 Mega yacht charters are the ultimate on-the-water luxury travel experience. 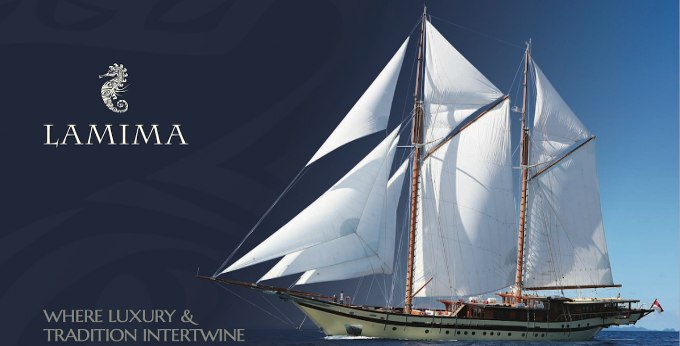 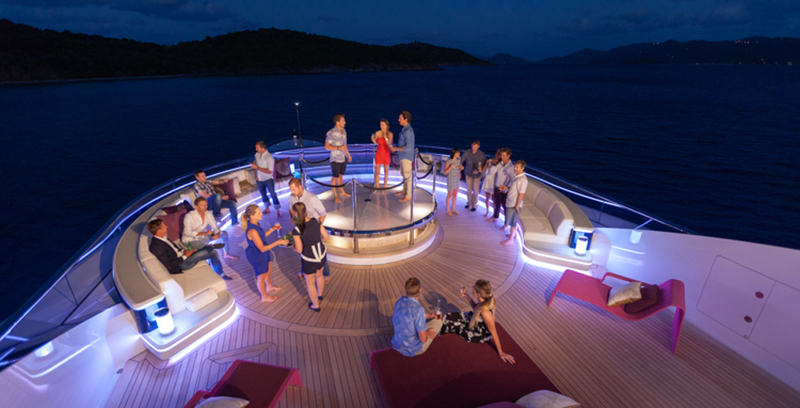 We offer a range of exceptional mega yachts that can accommodate 20 to 30 guests and even a few rare gems which can take up to 100 guests. 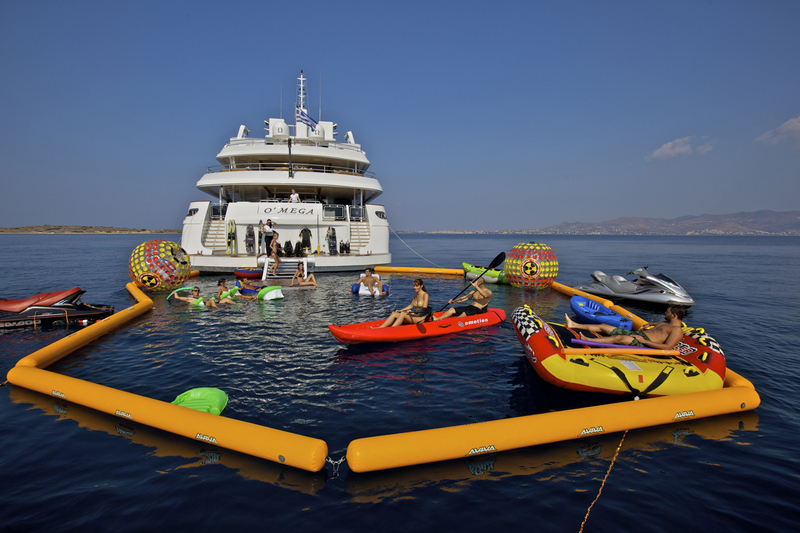 Our large capacity mega yacht charters are an unrivaled option if you’re looking for a luxurious, exclusive and comfortable way to celebrate a milestone birthday, family reunion or multi-generational escape at sea. 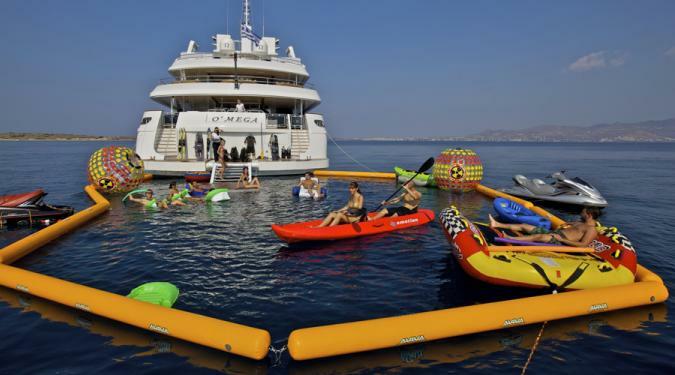 What do we mean by “large capacity?” Most super yacht charters only accommodate a maximum of 12 guests overnight regardless of their size. 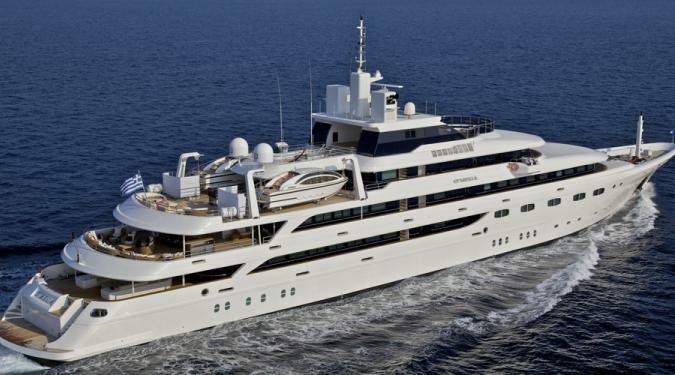 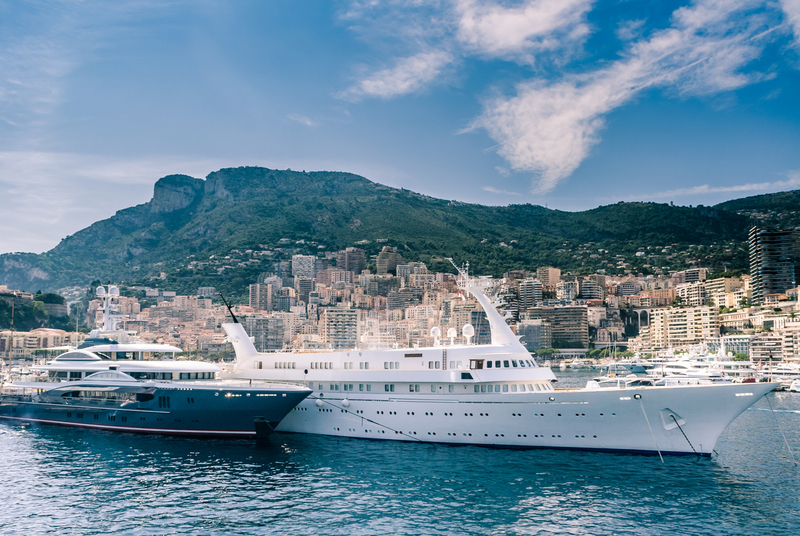 That is due to international maritime regulations which classify luxury mega yacht charters that carry more than 12 guests as passenger ships and passenger ships must adhere to a different set of regulations. 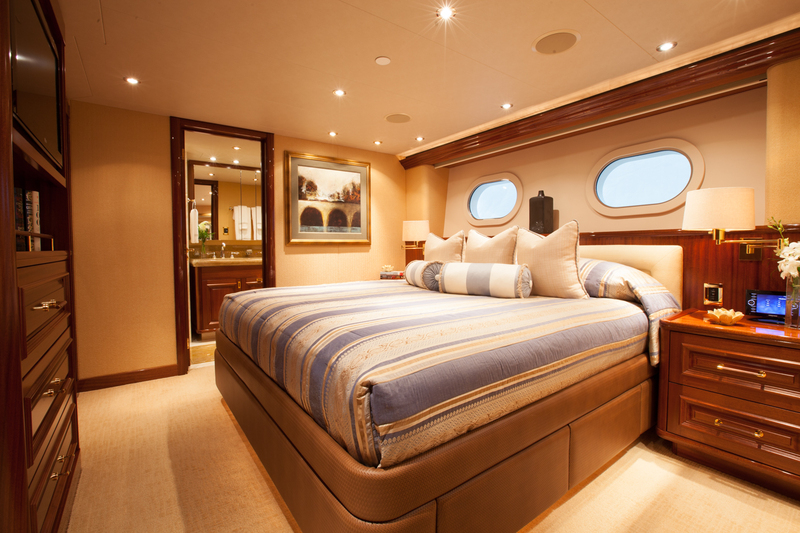 Most super yacht charter owners prefer to operate under the simpler regulations and therefore limit the overnight guest capacity to 12. 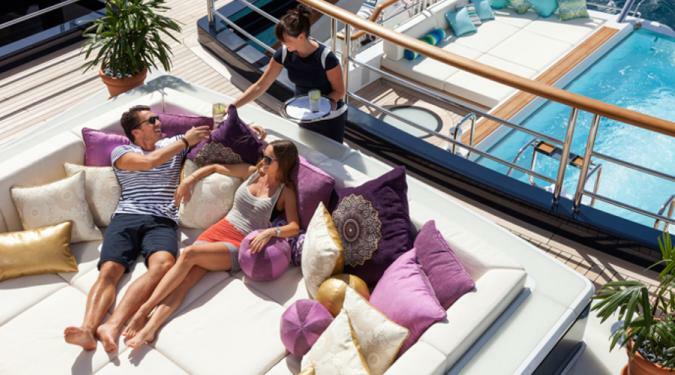 Fortunately, we have a stellar fleet of stunning mega yacht charters that rival the size of a mini cruise ship yet have the intimacy and ten-star service that you expect on a yacht. 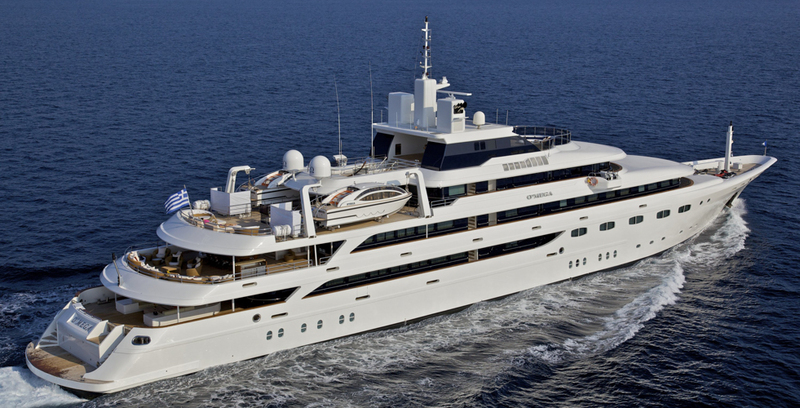 No cost is spared in the design and building of these one-of-a-kind mega yachts, which stretch from 150 to over 300 feet in length. 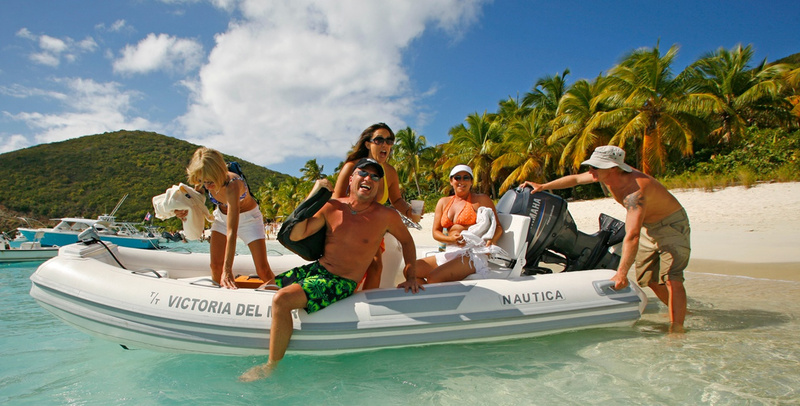 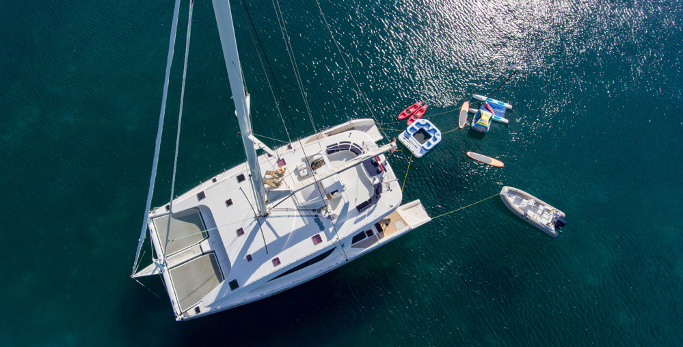 As your safety and enjoyment are paramount, all our yachts feature world-class technology and safety equipment, amazing entertainment systems and a comprehensive array of recreational gear. 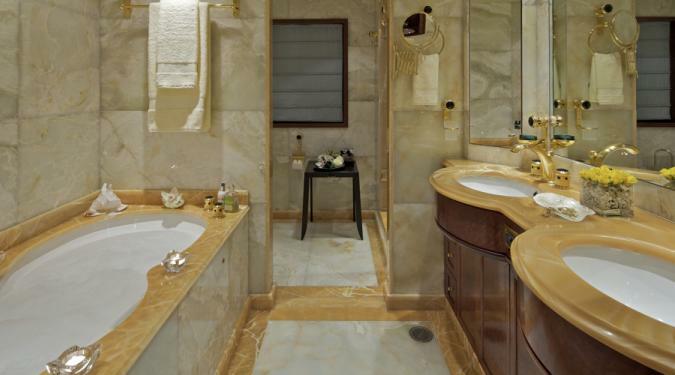 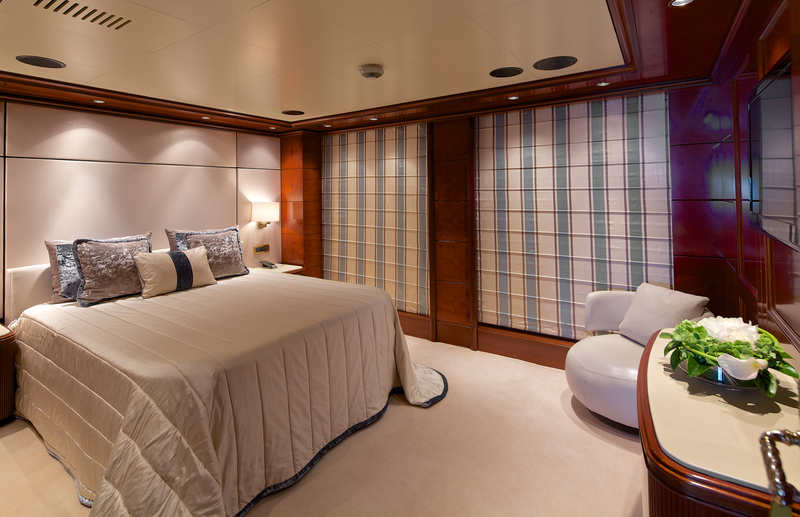 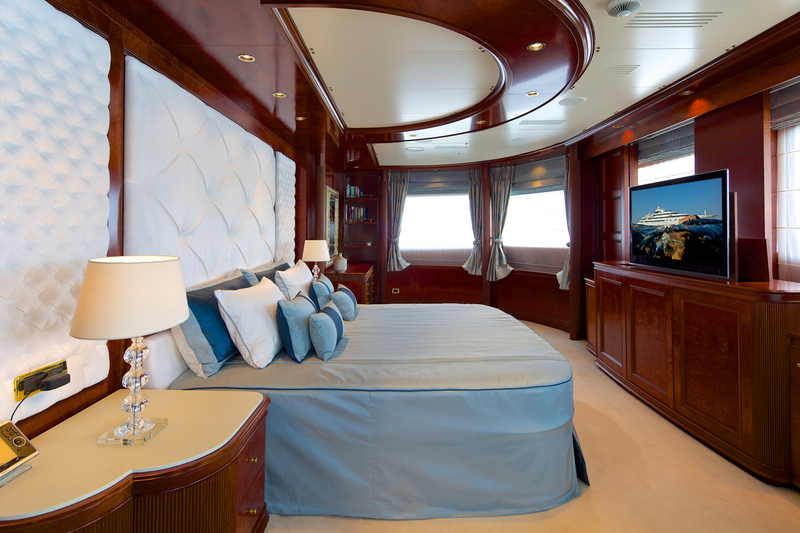 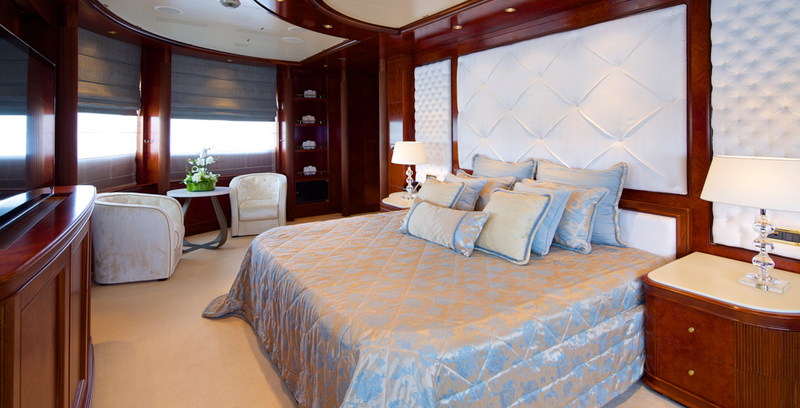 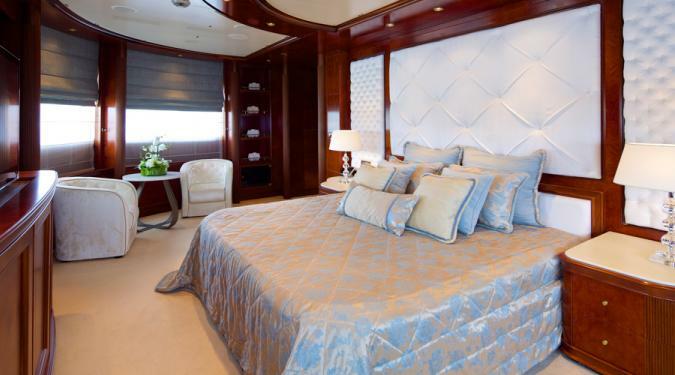 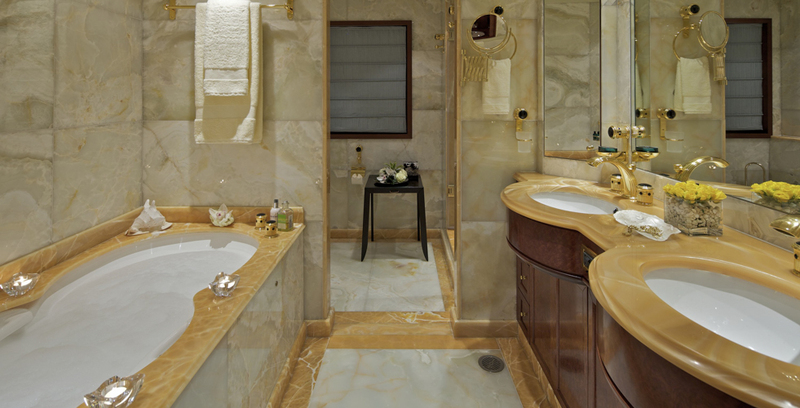 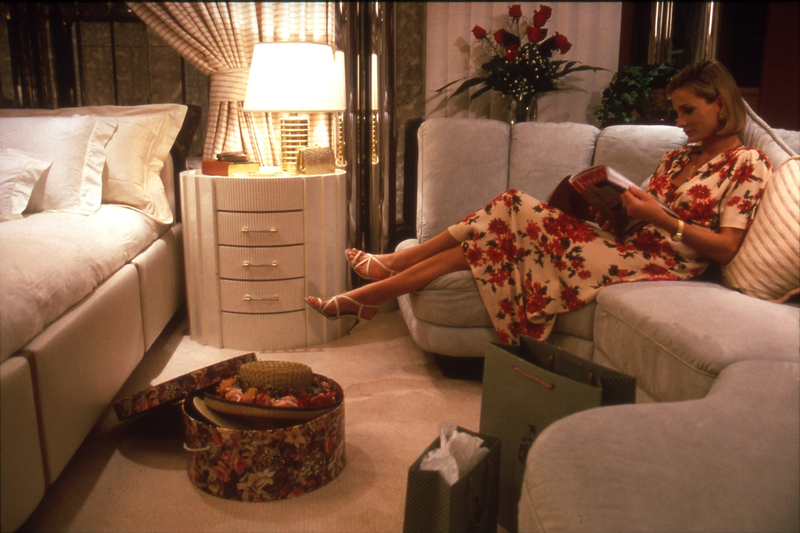 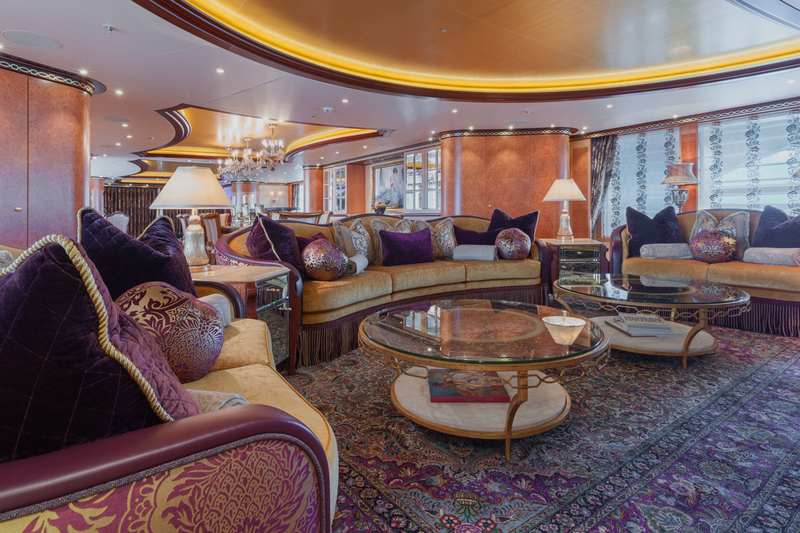 Exquisite Custom-Made Interiors : Mega yacht charter owners employ renowned international designers to fit out their cherished vessels and to describe them as five star resorts at sea would an understatement! 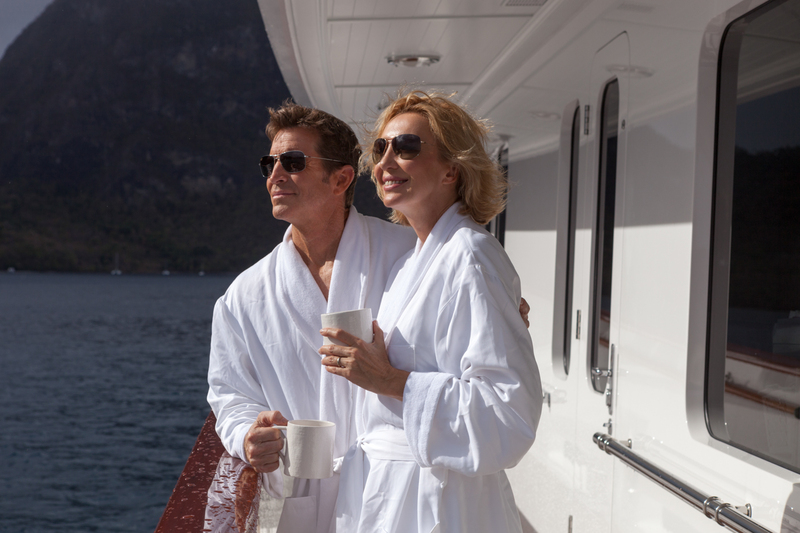 You’ll find them stupendous in the looks department, inside and out. 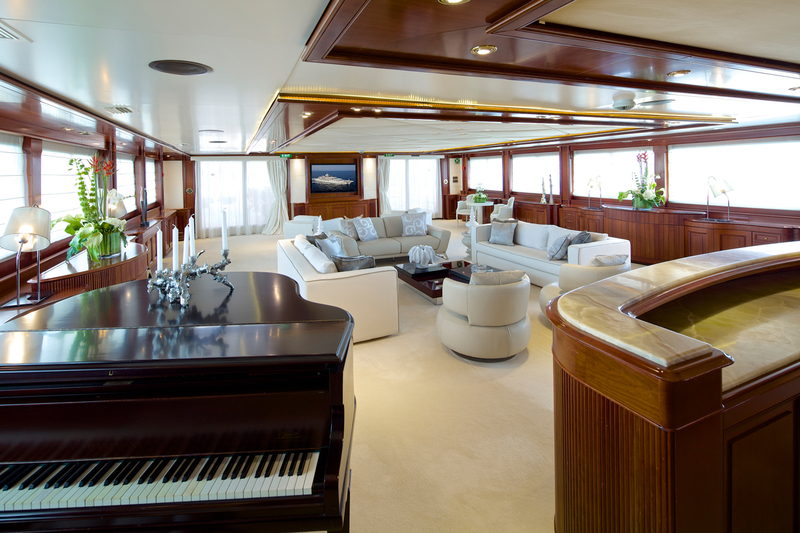 Sleek and elegant in every way, they feature lush unique furnishings, original artwork and superb craftsmanship. 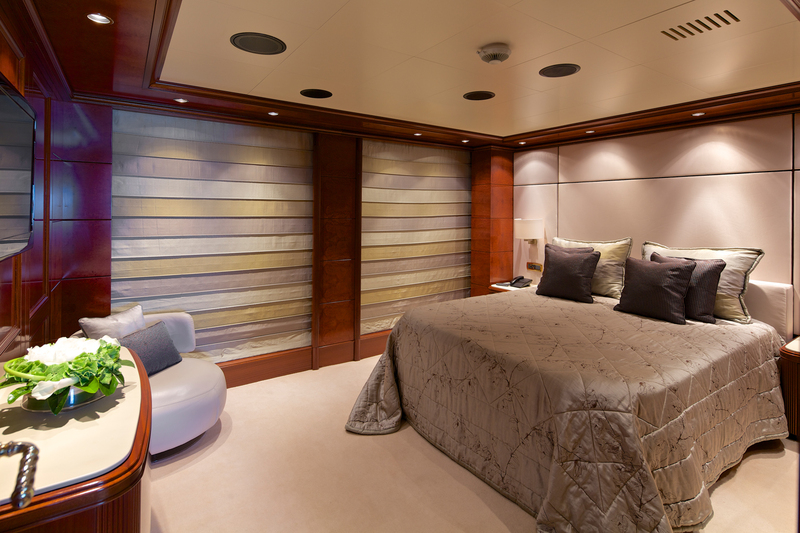 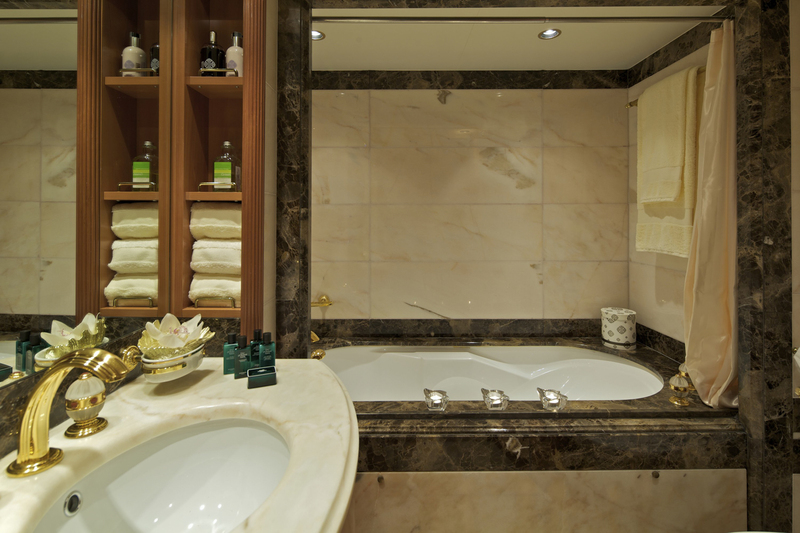 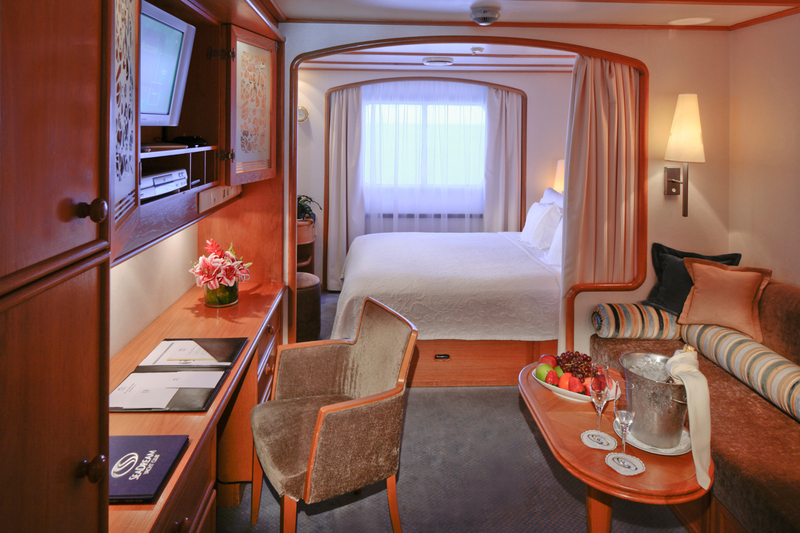 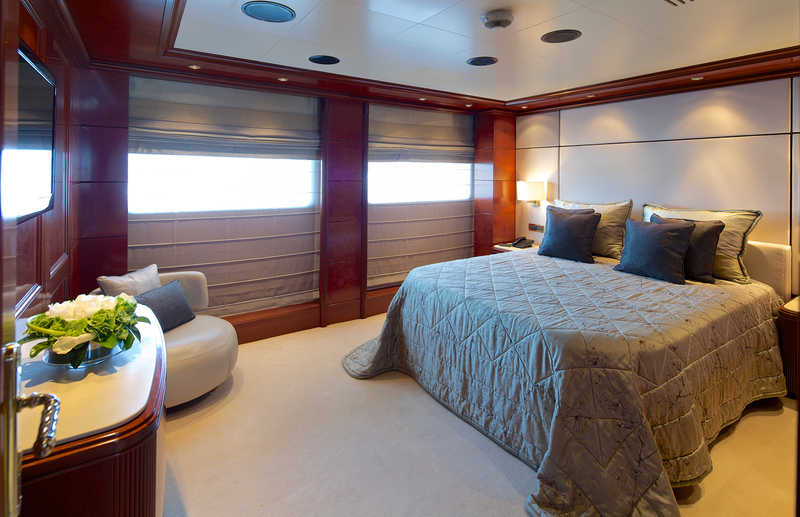 The master cabin is often its own private oasis with his and hers baths, walk-in wardrobes, an office and perhaps even a private balcony. 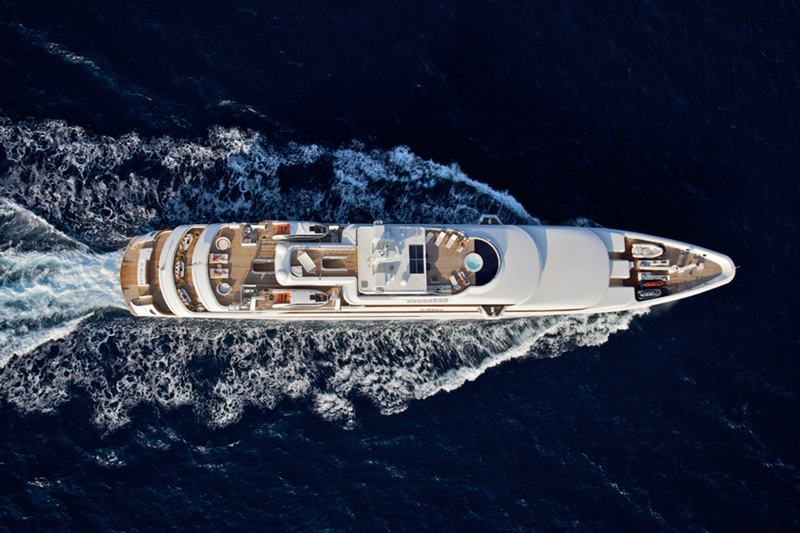 World Leading Technology on Mega Yacht Charters : Your safety and privacy is never compromised, with world-class onboard security and communication systems. 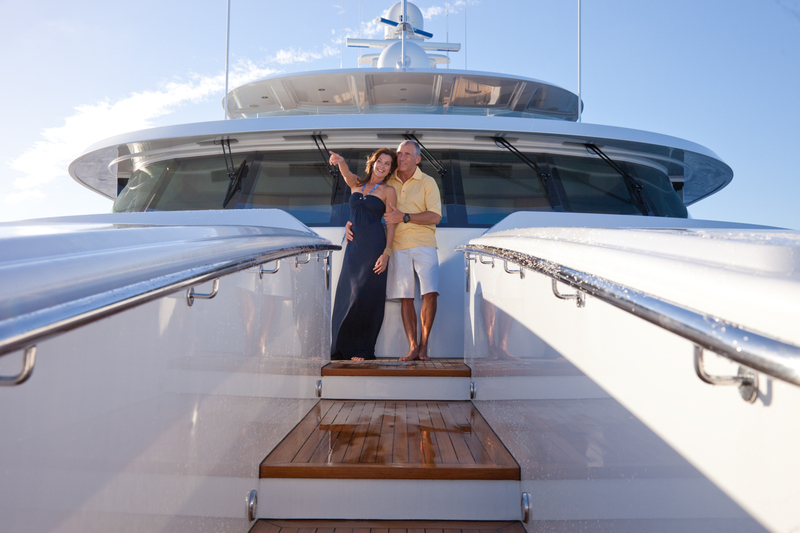 Should you need to bring work abroad, you’ll find a comprehensive office system to help you maximize your work time so you can dedicate more time to the pleasures of your charter trip. 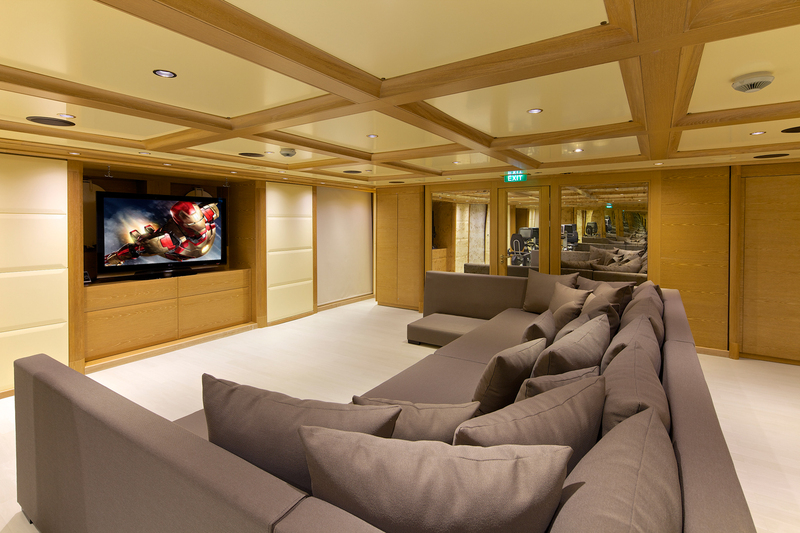 Fully-equipped entertainment systems often include satellite TV, movies on demand and sound system, ideal for large groups and all those cruising with kids. 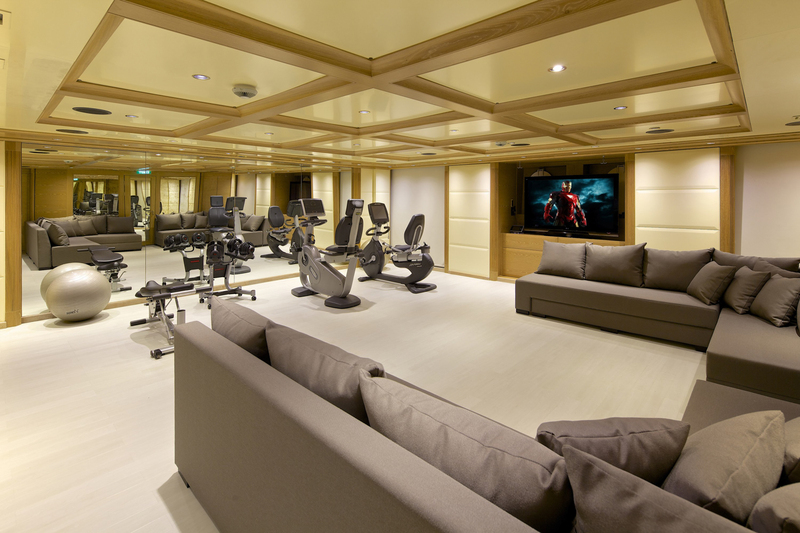 The Added Stellar Extras on Mega Yacht Charters : From a variety of easily converted cabins – perfect for children, nannies and caretakers – to separate office rooms, gyms, cinema and beauty spas, we have just the right large capacity mega yacht charter to suit your specific needs. 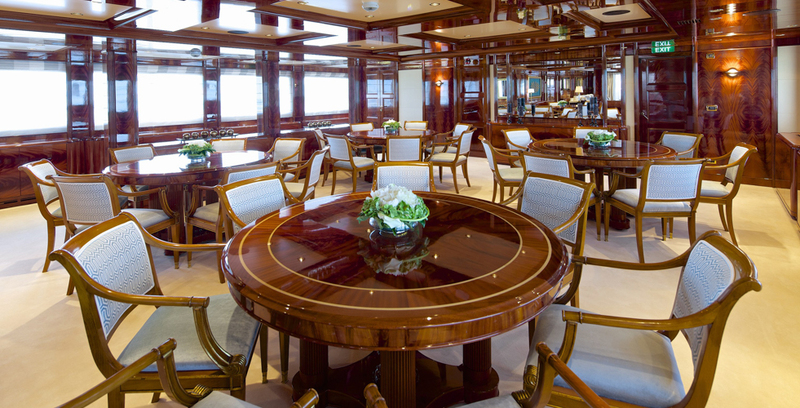 Extraordinary Space : Space is arguably the most coveted luxury aboard a large capacity superyacht and, in this regard, our top picks are worthy of their accolade. 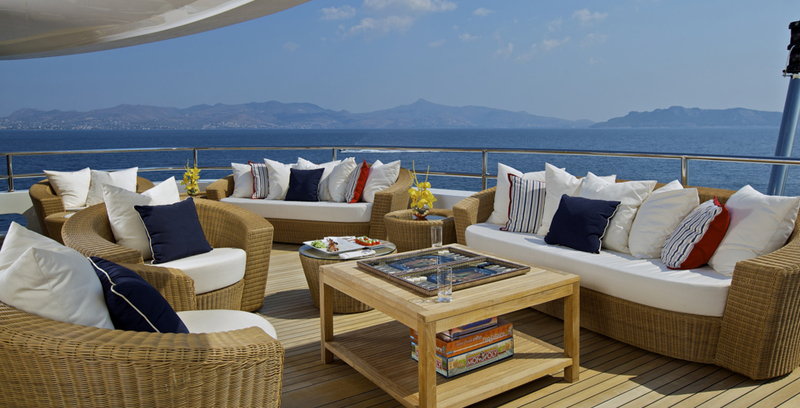 Spacious and airy cabins, multiple outdoor decks and dining areas and an array of interior lounge and dining space, will ensure your personal space need never be compromised on a large group charter. 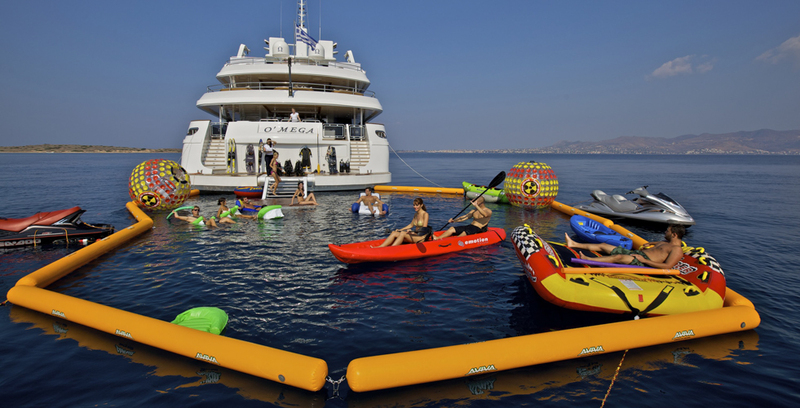 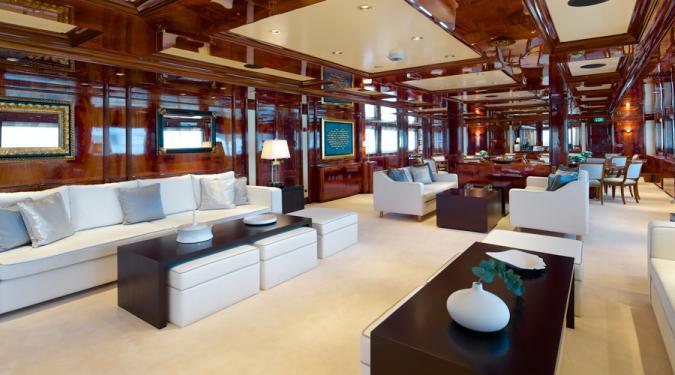 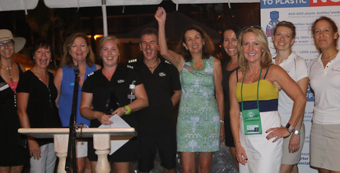 Immense Array of Water Toys and Sporting Equipment : The bigger the yacht….the larger the toy collection! 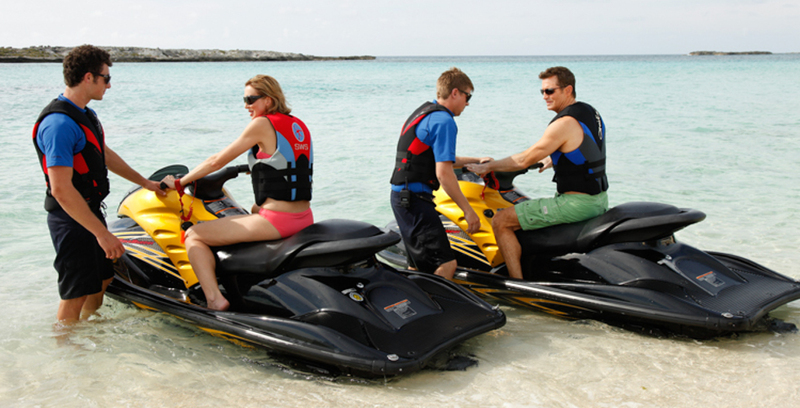 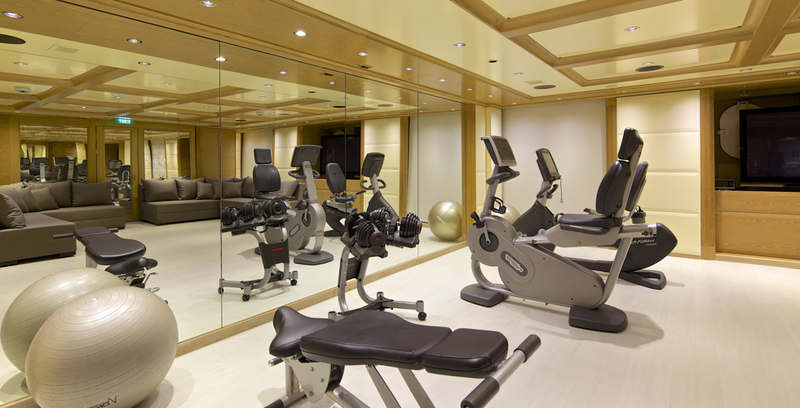 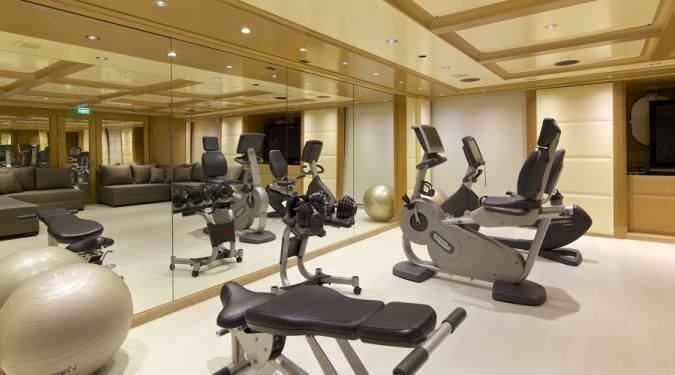 You’ll have an incredible collection of water toys and sporting equipment at your disposal. 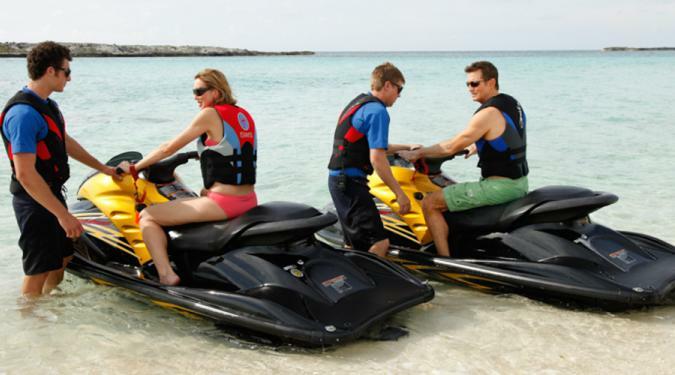 Various inflatables for excellent fun at sea, multiple sets of snorkel and fishing gear and a host of other fun toys like fly boards, wave runners, jet skis, water skis, sea bobs and more. 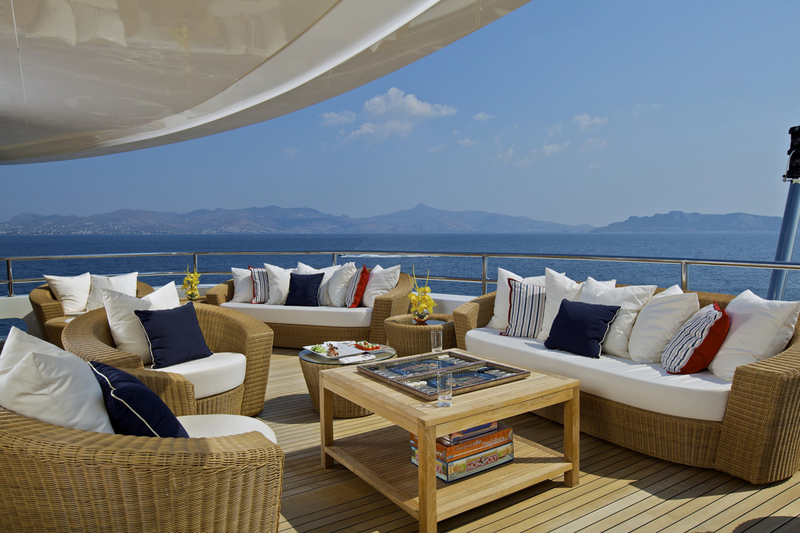 Moreover, many of our favorite superyachts boast complete beach gear, including cabanas, grill sets, chairs and umbrellas for that memorable private beach party on an idyllic island you’ve always dreamt about. 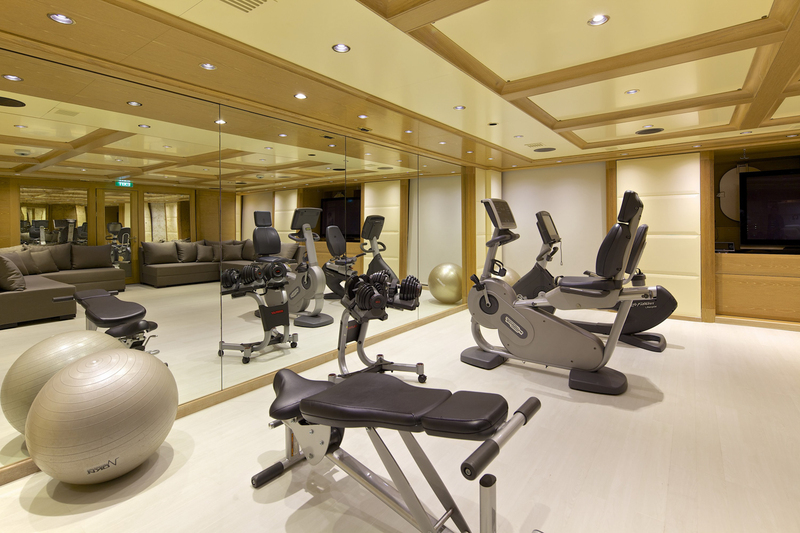 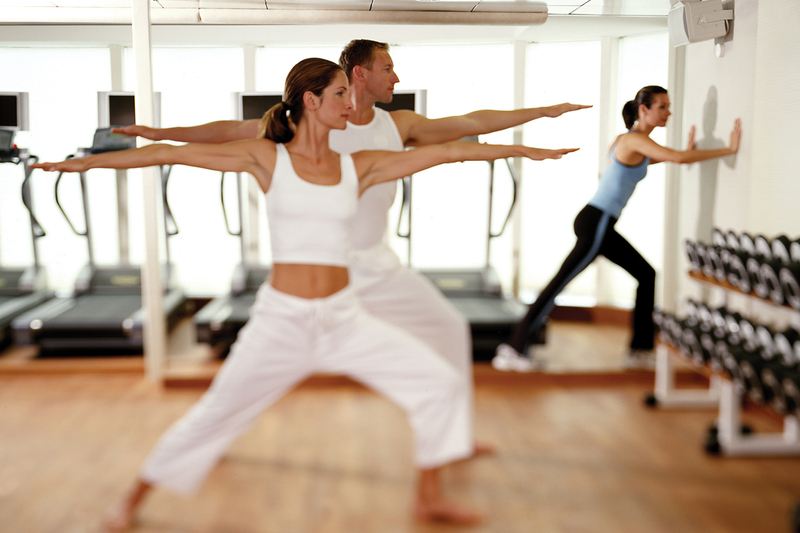 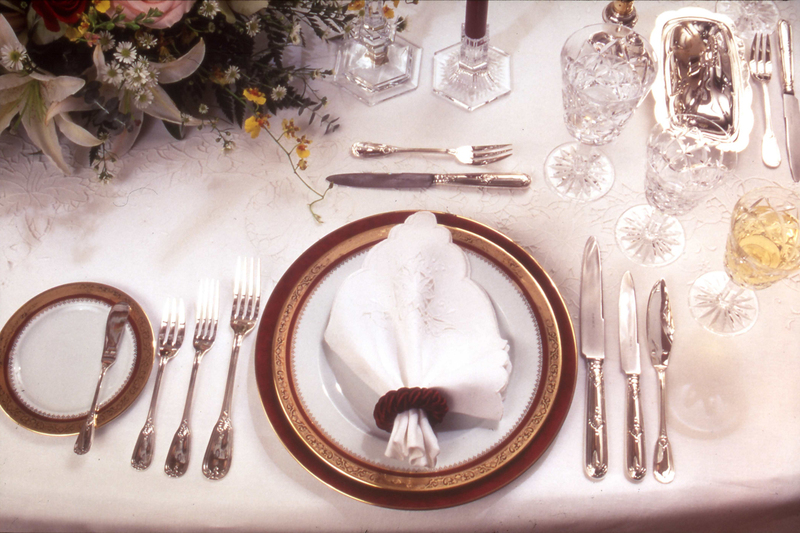 We strive in our ability to offer whatever it is your heart desires. 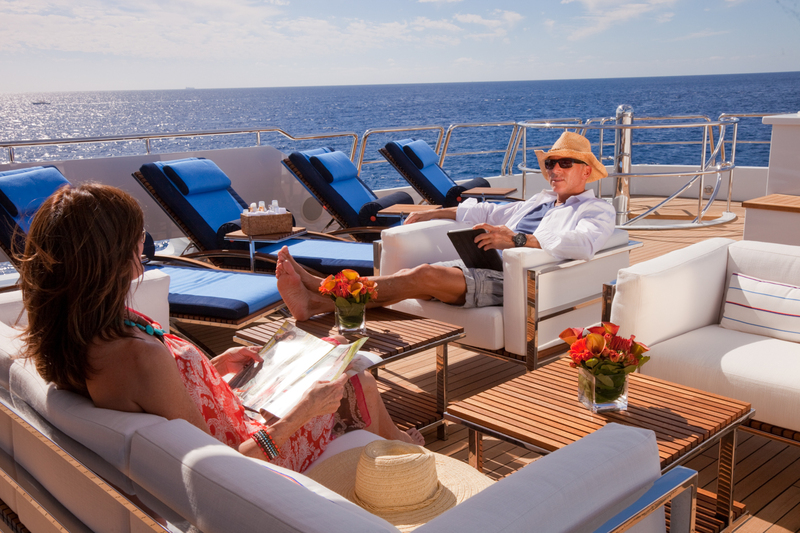 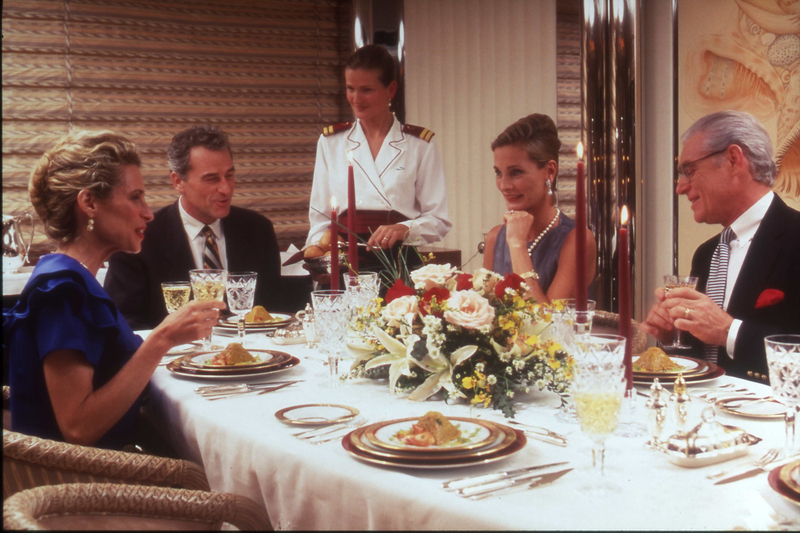 Just let us know what you’d like to find onboard and we’ll do our best to make it happen. Professional and Discreet Crew : We understand that discretion is paramount, this is why we only work with the best crews in the biz. 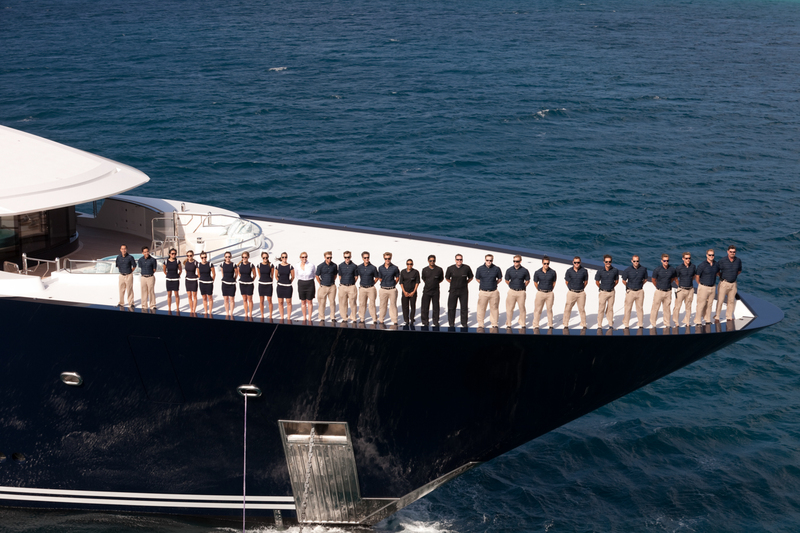 A professional and discreet crew understands your need for personalized service and an ‘above and beyond’ attitude. 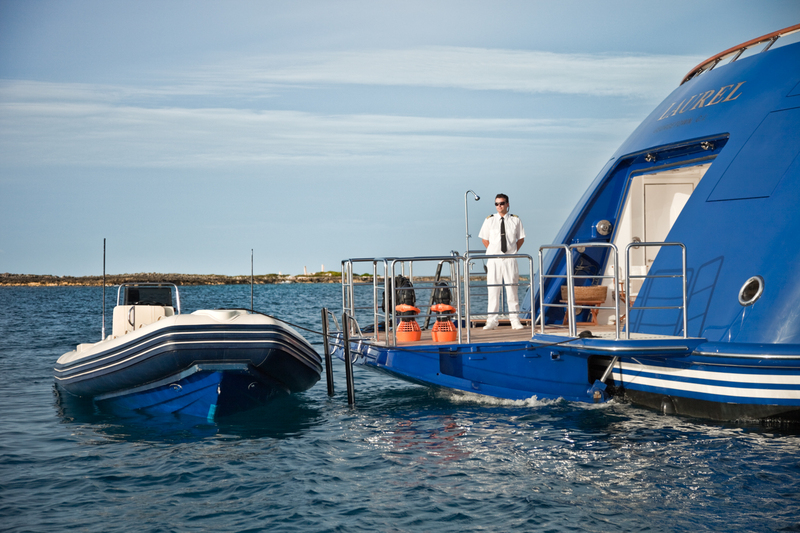 A licensed captain, a first mate, an engineer, watersport instructors, guides for on-land excursions, a top-notch chef and plenty of stewards/stewardesses are the valued extra of large capacity mega yachts. 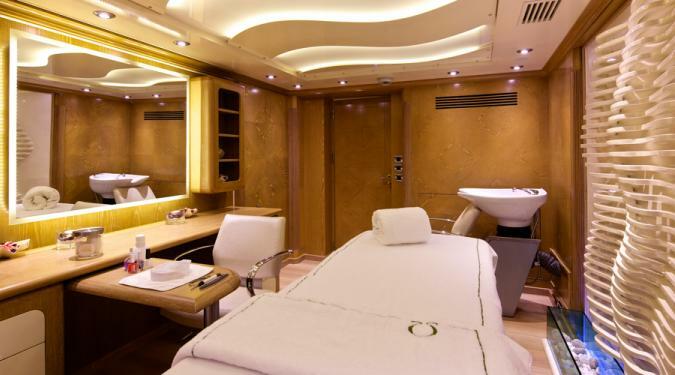 They will take care of all your needs and offer attentiveness and discretion. 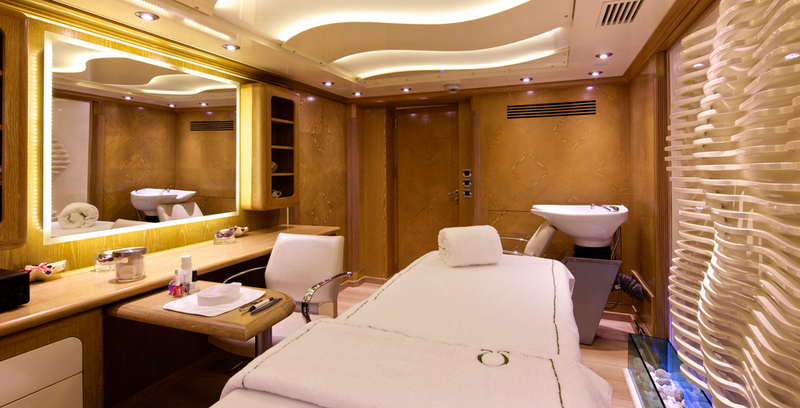 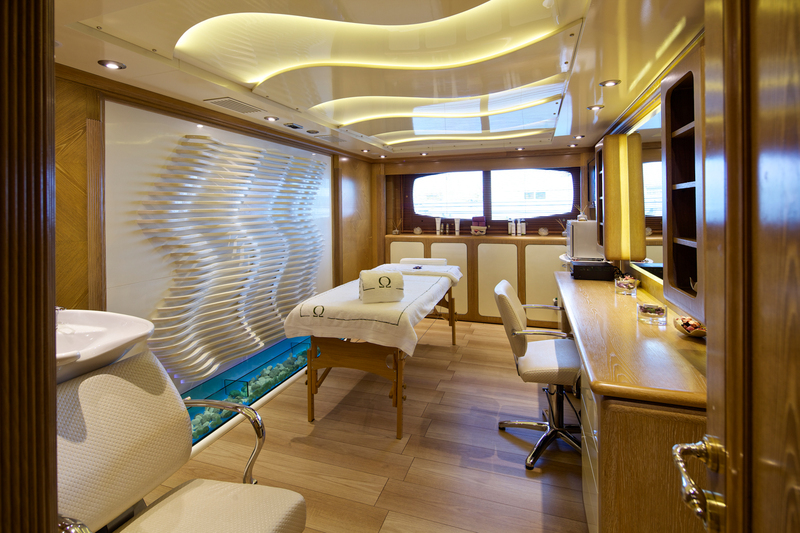 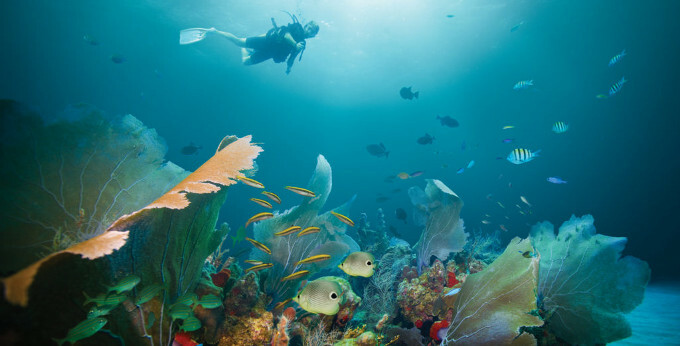 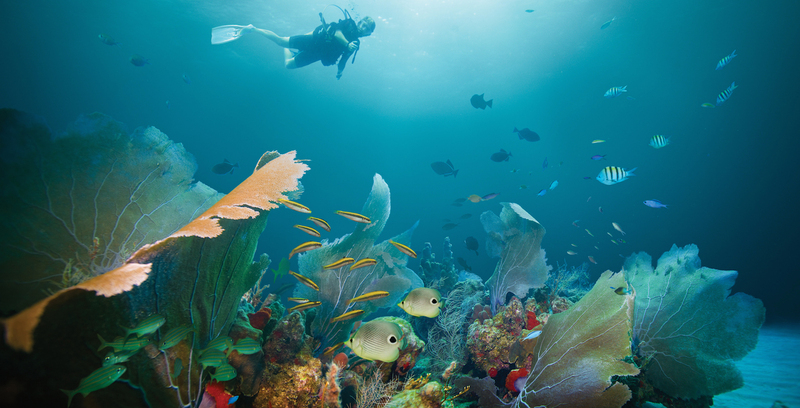 Would you like a masseuse, hair stylist, SCUBA dive or yoga instructor on board? 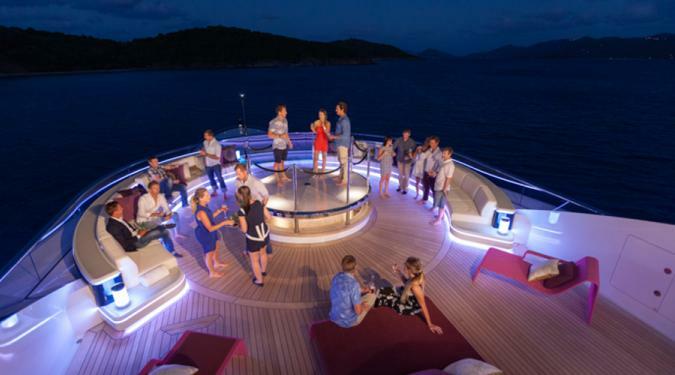 Endless Entertainment Options : We never cease to be amazed at the unique entertainment options which large capacity superyachts offer our guests. 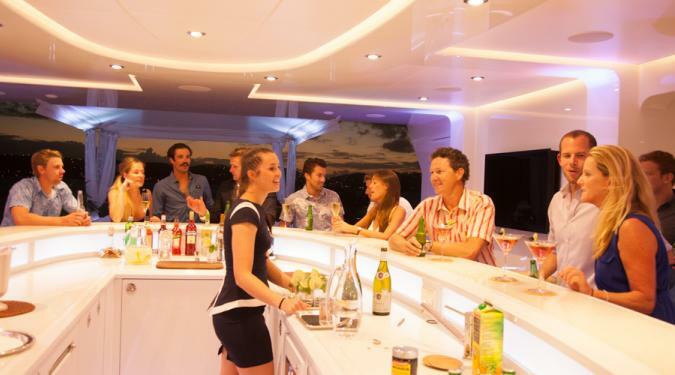 From live music gigs to Bollywood parties, 1980s disco shebang’s, black-tie cocktail parties, Caribbean pirate beach parties and more…you name it, and there’s a crew out there that can pull it off without a hitch! 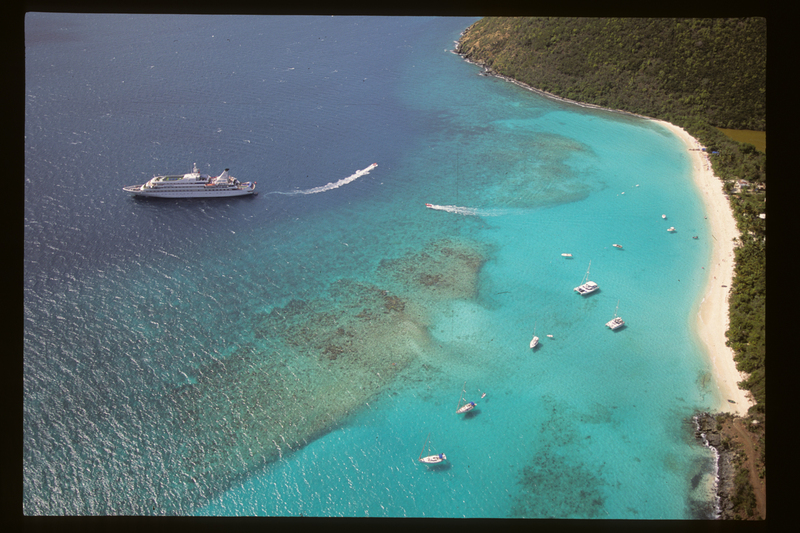 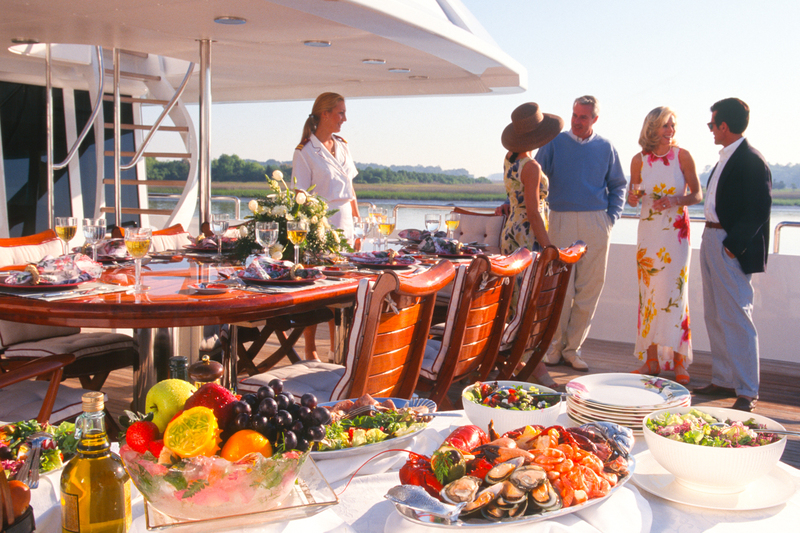 What’s more, once your large capacity megayacht has docked in some stupendous harbor, it can even host events to accommodate more guests. 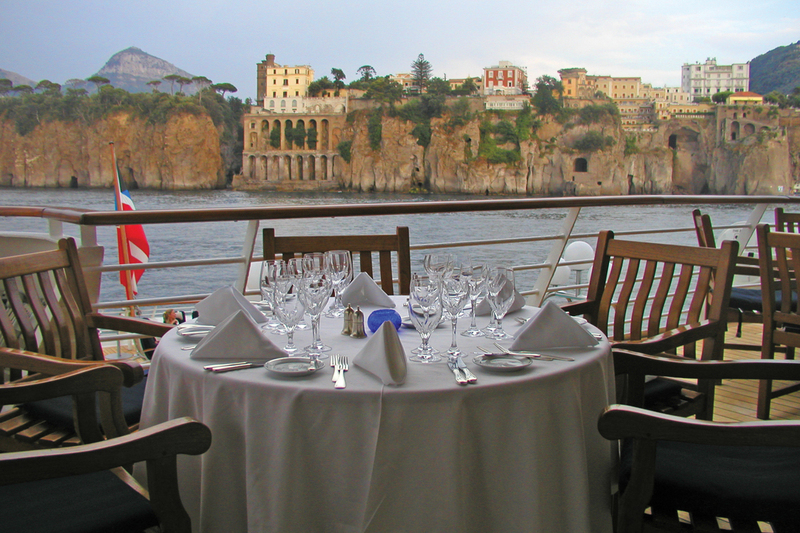 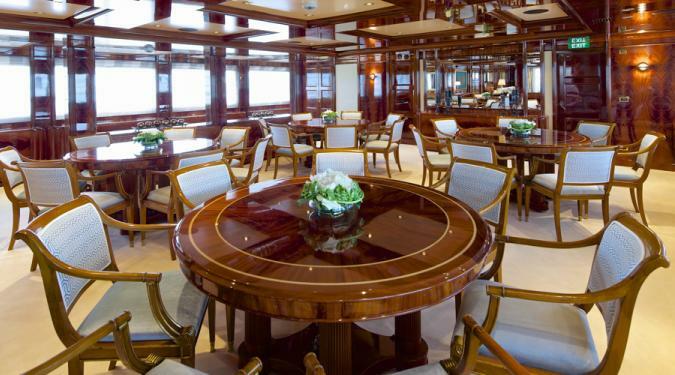 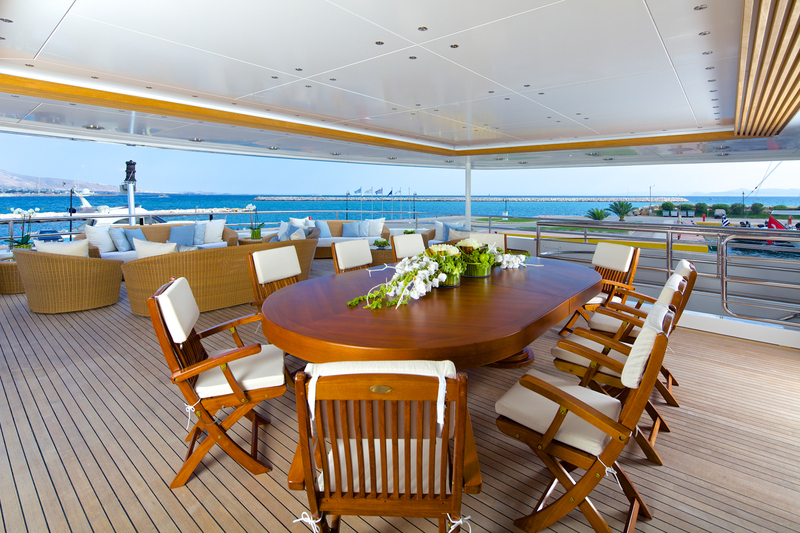 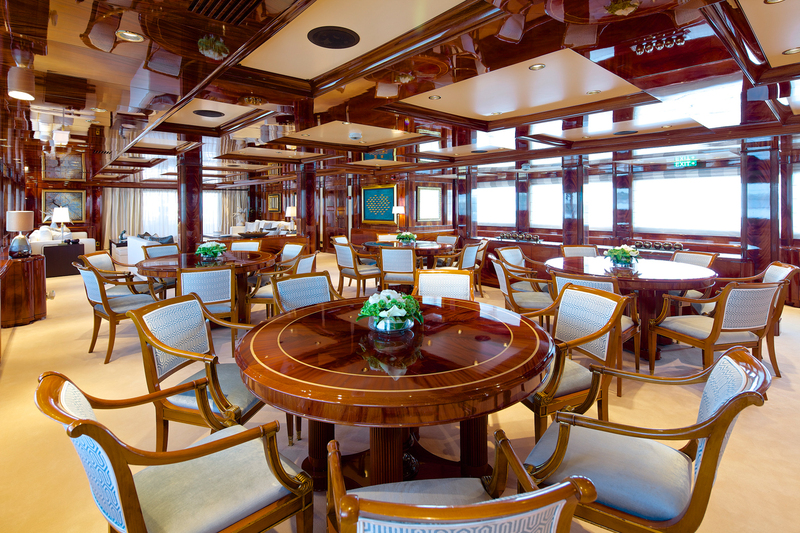 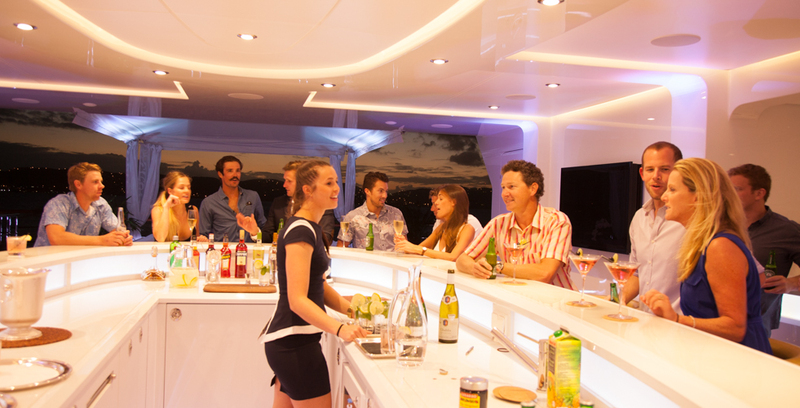 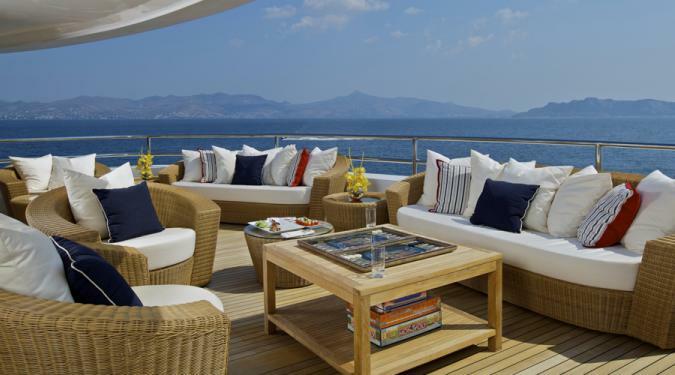 Depending on size, large capacity mega yacht charters can host stationary parties for up to 200 guests. 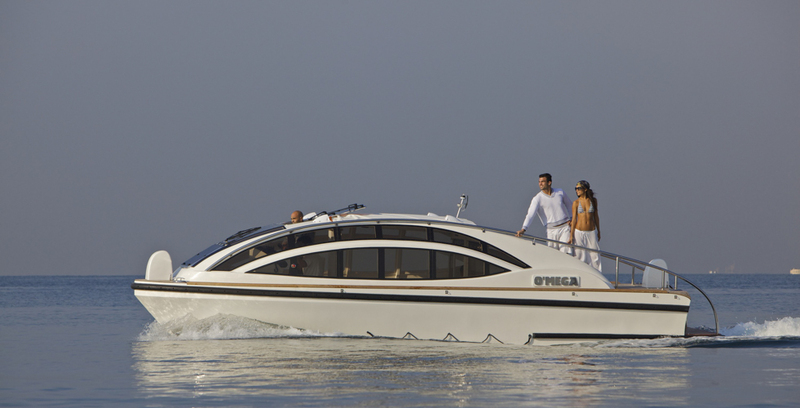 Grand, show stopping yachts that cater to large groups from 20 to 100. 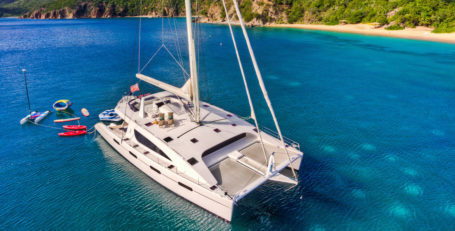 Charter one of these one of a kind yachts if you or your company wants to make a lasting impression. 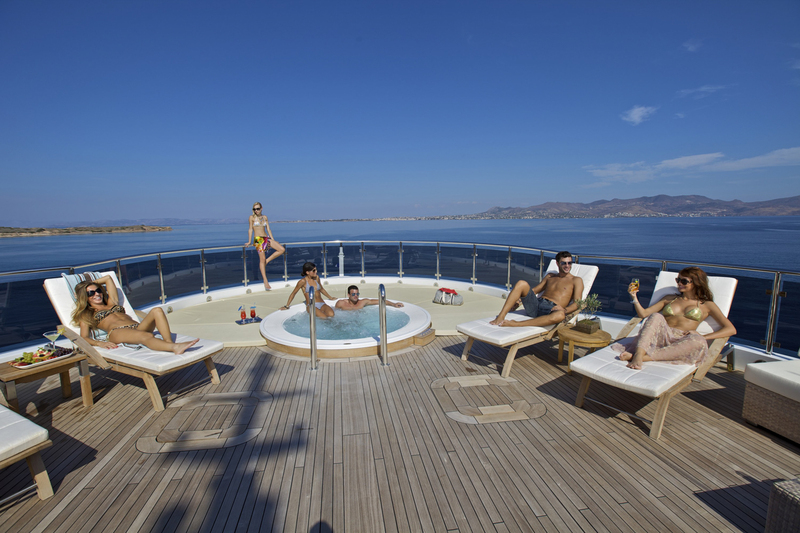 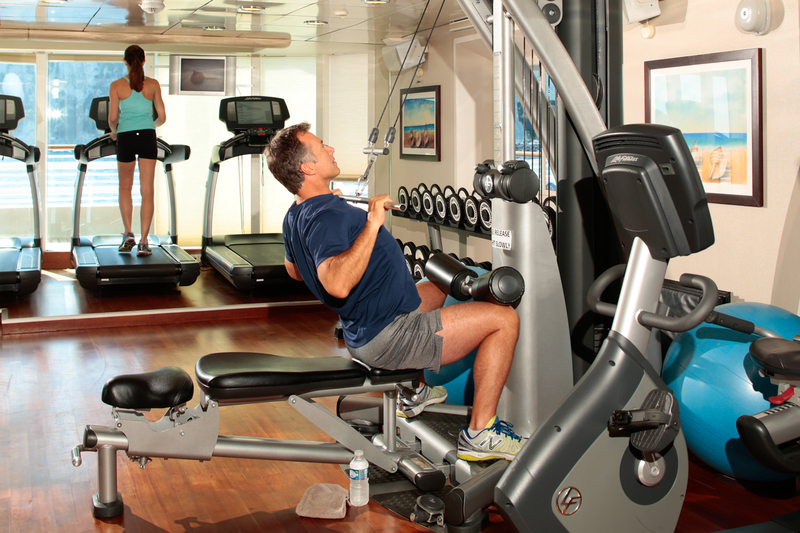 Unparalleled luxury, world class service, extraordinary cuisine and a bevy of extras - gym, spa, entertainment, beach club, jacuzzi, sauna, watersports training centers, heli-pads, masseuse, beauty therapist... perhaps even a pool bar. 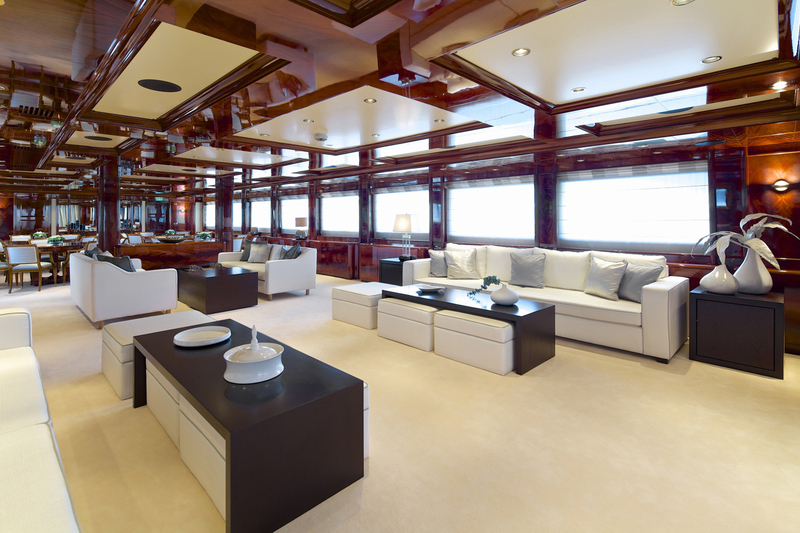 A Typical Example of a Large Capacity Mega Yacht Charters Deck Plan. 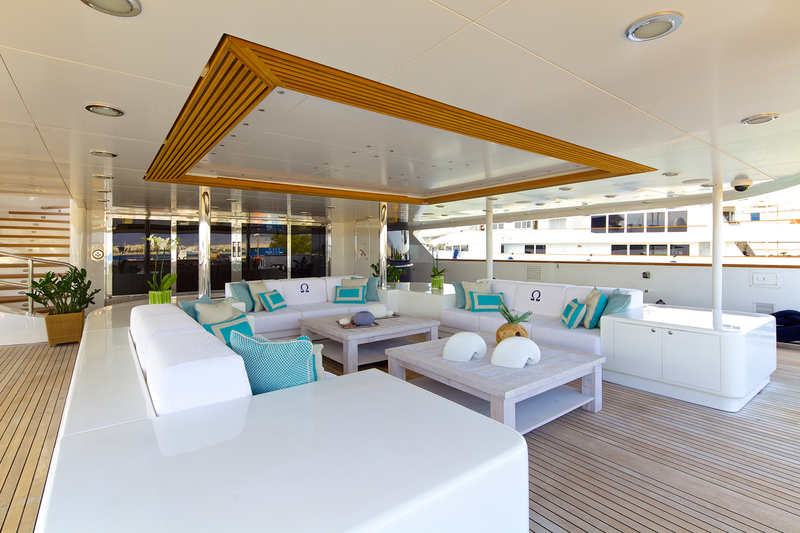 Deck Plan shown is for the yacht named Omega, a 270 foot yacht built by Mitsubishi in 2004 and refit in 2015 that accomodates 30 Guests..